Composite Bridge Design. FEA of Bridge Diaphragm over Pier. 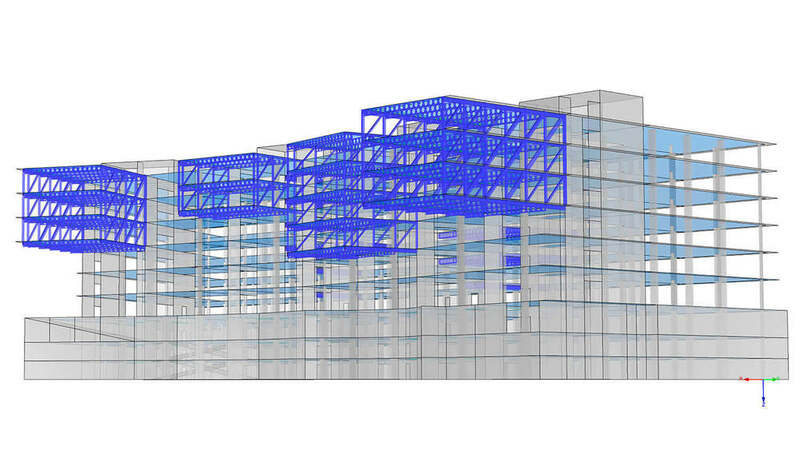 FE Model of the ZAL Building in Algeciras. Surface Elements used for Concrete Walls and Slabs. 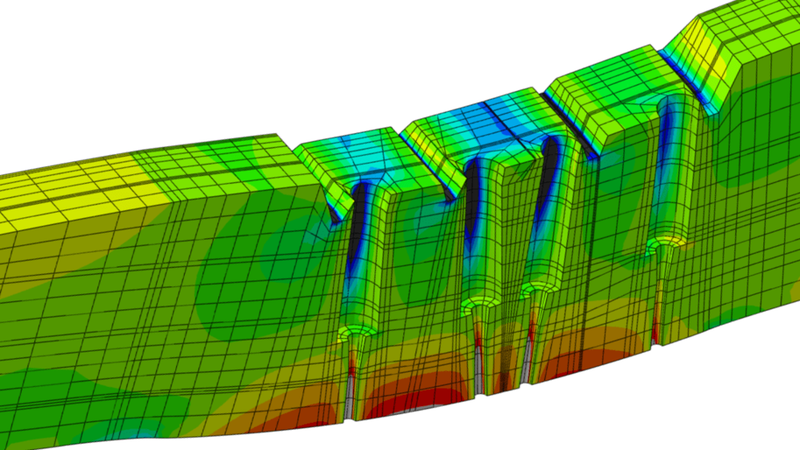 FE Model of the Main Postensioned Concrete Walls for Real Betis Stadium. 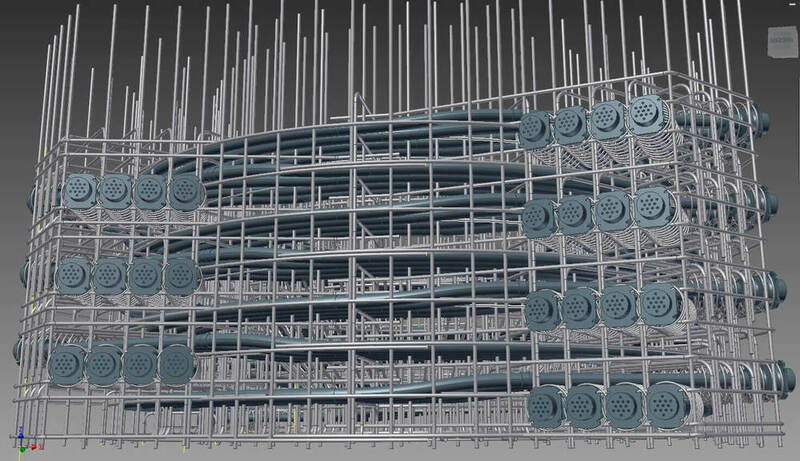 3D Render of the Active and Passive Reinforcement Layout for a Steam Accumulator.